A recent report from the Centers for Disease Control (CDC) shows that there has been a 25% increase in suicides in the US since 1999. 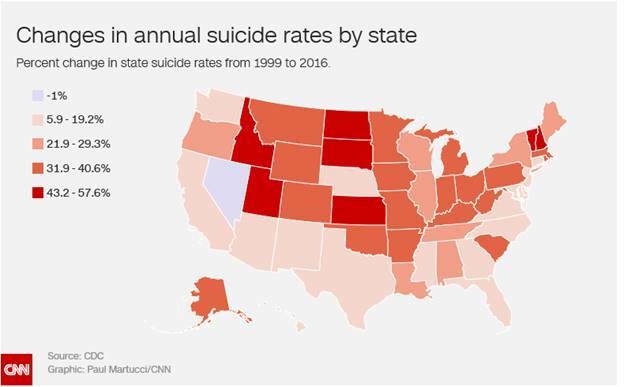 Montana experienced about 29 suicides for every 100,000 people -- the highest in the nation. That being said, it’s important to understand that we can help prevent suicide. By educating ourselves on possible risk factors and warning signs, being willing to have candid and compassionate conversations with our loved ones/friends/neighbors, and “staying with them”, both literally and figuratively, we can make a difference and save a life. The American Association of Suicidality has created the mnemonic IS PATH WARM to help identify possible risk factors for suicide.